Green is the colour for May! We are getting green grass and the leaves are thinking of opening up. All the sades of green are out. 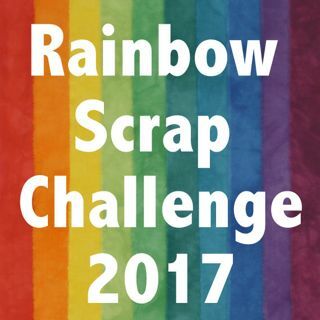 So for the Rainbow Scrap Challenge 2017 Green is it! I worked on my Hand dyed string and made some half squares of Green. Love them. I have added my green scrap blocks to Soscrappy. Ohhhh! These fabrics are so beautiful!! Love your blocks so far. What beautiful shades of GREEN you accomplished in your hand dyes!! Nice, these blocks are going to be so pretty, love your greens. Love your half string blocks and can't wait to see how you use them. I see you also love sewing on the phone book pages! Great use for them and we can still recycle when we are done!! I have been working on blocks for a neutral string one. Your greens are just gorgeous! Oh! I am making string blocks as well! But wow! Your's are beautiful! Hand dyed! Awesome! Plus 1/2 triangles! My two loves - strings and 1/2 triangle squares! :) Thank you for sharing!